Apologies for not posting for a month! I'll try to keep to a once a week track from here on out, but I'm not making promises so why do I bother? (and for that matter why do you?). 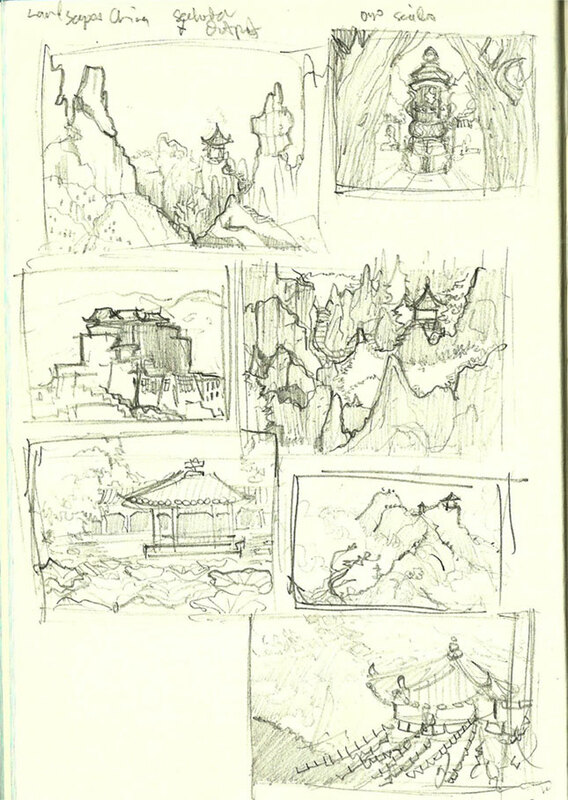 Anyway, these are some landscape sketches I made in preparation for my next L5R remake. It'll be the 4th of 5 and one of two environment pieces. 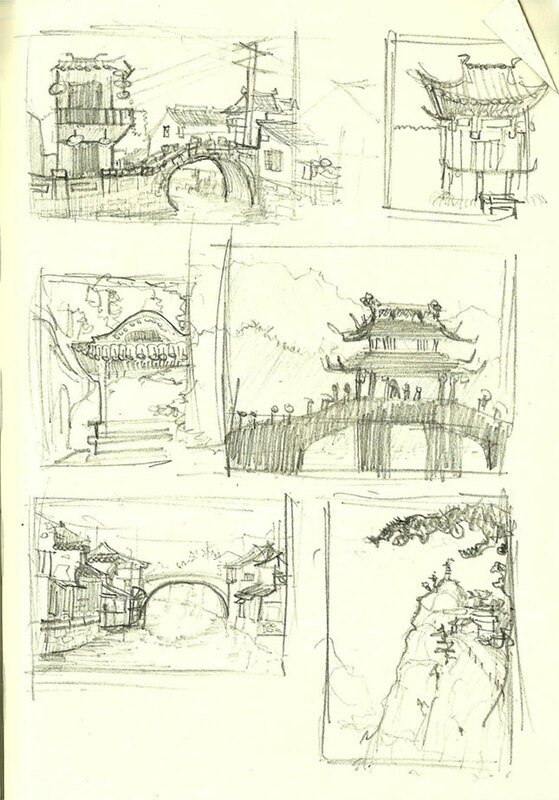 I drew inspiration from a photobook of China, which I picked up during a sweet National bookstore sale for just 200 bucks. More next week (maybe)!